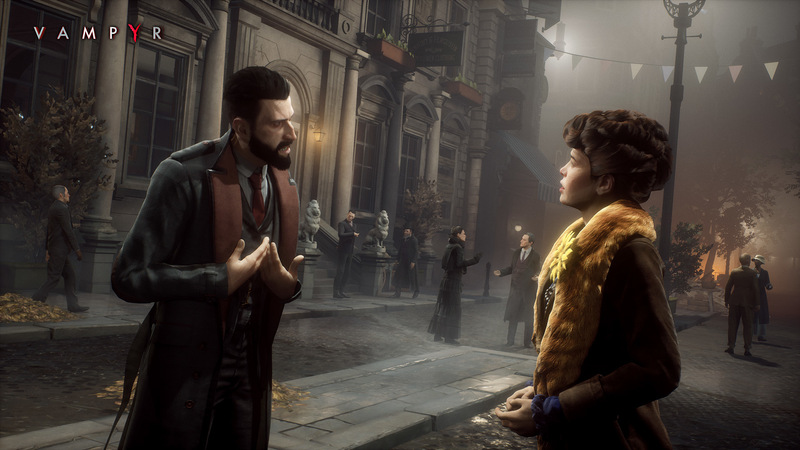 Vampyr released last year and while its reviews scores averaged mediocre many fans were happy with the overall adventure. According to Dontnod, Vampyr reached 1 million units sold. Vampyr stars a doctor named Jonathan Reid. After being turned into a vampire Reid must choose to give in to the temptation of feeding on the living or resist the urge. Players are encouraged to experiment by finding alternate paths to solutions such as choosing to kill or spare innocent lives and unlocking new dialogue options. Vampyr is now available for PC, Xbox One, and PS4. It's currently in development for Nintendo Switch with no release date. Check out our review here. Dontnod Entertainment has confirmed that the upcoming difficulty update for Vampyr will launch next week on September 26th. Adding new difficulty options and fixes.